Pastor Grant grew up in Waupun, WI. He received his degree in Church Ministry Leadership and Theology from Trinity Christian College and his M-DIV from Northern Seminary. 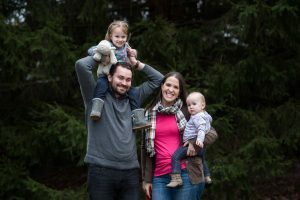 Before coming to Silver Creek, Grant served as the Associate Pastor for Youth Ministry at Gibbsville Reformed Church and as the Youth Director at First Presbyterian Church of DuPage in Bolingbrook, IL. Pastor Grant is married to Leah and they have two children, Addison and Michaela. Grant enjoys meeting new people, watching the Green Bay Packers, and a good cup of coffee. He is passionate about discipleship, worship, and the mission of the Church. Pastor Grant is in his office most mornings on Monday-Thursday. Feel free to stop in or make an appointment. Calls in times of crisis are always welcome. To contact Pastor Grant, you can email him at: ScrcPastor@gmail.com or call at 815-362-2129. Peter was born and raised in Grand Rapids, MI. He attended Hope College in Holland, MI where he received his degree in music. After graduating from Hope College, he attended Western Theological Seminary where he earned his Master’s Degree with an emphasis in youth ministry. 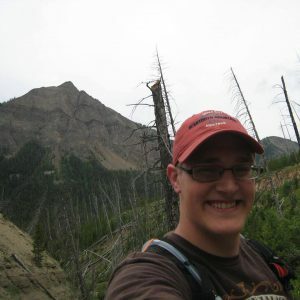 Peter was the intern to the Director of Youth Ministries at Fifth Reformed Church in Grand Rapids before he graduated and accepted the position of Youth Director at Silver Creek. Peter is passionate about working with youth and helping them to grow in their faith and in their relationship with God. If you have any questions about SWIFT (the youth ministry at Silver Creek) or anything else that he can help you with, give him a call, send an email or stop by the church. Peter is typically in his office Monday-Thursday from 9-5. To contact Peter, you can email him at: ScrcYouthDirector@gmail.com or call 815-362-2129. To contact Jean, you can email her at: silvercreekreformedchurch@gmail.com or call at 815-362-2129 / FAX 815-362-5111. –Church office hours are 8:00 AM to 1:00 PM on Mondays, Thursdays, and Fridays. –Information for the weekly church bulletin needs to be turned in by 10:00 AM on Fridays. –Information for the monthly newsletter needs to be turned in by the 20th of the month before the new month begins. If you have any questions, please contact the church at 815-362-2129.